In Forestry news: BC fire chief says it’s time to develop a personal wildfire plan, construction in wildfire areas a problem in Montana, more calls for old-growth protection in BC; and forestry students blog about their summer jobs in Quesnel. Finally, UK researchers are pursing hollow telephone poles; and wood-based bioplastics. Illinois members of Congress have joined a growing list of critics who are blasting U.S. tariffs against Canadian newsprint, saying the duties are jeopardizing American newspapers already in weak health. All 18 Illinois members of the U.S. House of Representatives signed a letter to oppose the tariffs. …“We write to ask that you take into full consideration the negative impacts of these tariffs on the newspaper industry and other stakeholders in Illinois and throughout the United States,” read the bipartisan letter. …“Tariffs will jeopardize the amount of news and local coverage that constituents rely on in both big and small communities,” the politicians, including Democrat Cheri Bustos and Republican Randy Hultgren, said in their letter to Ms. Schmidtlein. …The ITC will hold a hearing in Washington on July 17 on Canadian shipments of groundwood. A new four-year agreement between Catalyst Paper Corporation and Unifor Locals 1 and 76 in Powell River has been approved by workers, according to Unifor national representative Jim Dixon. In all, the company’s 630 employees with Unifor and the Public and Private Workers of Canada – Pulp, Paper and Woodworkers of Canada at Catalyst mills in Crofton, Port Alberni and Powell River ratified six new collective agreements. They extend to April 30, 2021, and are retroactive to May 1, 2017. The deal includes wage increases and improvements to some benefits, according to a statement from Catalyst on July 3. PICTOU, N.S. — The proposed route of a pipeline that would carry effluent from the Northern Pulp mill into the Northumberland Strait will be changed due to concerns over potential ice damage. Kathy Cloutier, director of communications at Paper Excellence, said Tuesday a sonar study found ice scouring near the proposed location of the pipeline’s outfall off Pictou, N.S. She said that will mean the pipeline may have to go into deeper waters to avoid the ice that scrapes along the ocean bottom. …Cloutier said the new information means a delay in the company filing its environmental assessment report, and will lead to higher project costs. …The wastewater lagoons contain nearly 50 years worth of toxic waste…It has been a major concern for the local Mi’kmaq community, which launched a lawsuit in 2010 seeking to eject the treatment plant from its land. ANTIGONISH, NOVA SCOTIA — During a recent regular meeting of council for the Municipality of the County of Antigonish, members heard from representatives of Port Hawkesbury Paper… Warden Owen McCarron said… the presentation was a good overview as well as a good opportunity for councillors to ask questions and learn about the forest management practices of PHP. One topic that received mention was PHP’s use of clear cutting. “As they said tonight, clear cutting is a part of treatment that’s needed,” said McCarron. “It’s not a necessary treatment in every stand but some stands really do need to be clear cut.” McCarron said the follow-up treatment is also critical, so reforestation happens in a practical and effective matter. Based on the results of the May 2018 survey for the NAHB/Wells FargoHousing Market Index, the National Association of Home Builders has concluded that shortages of framing lumber are more widespread now than they were at any time since the association began tracking the issue in a consistent manner in 1994. Thirty-one percent of single-family builders who responded to the survey’s special questions reported a shortage of framing lumber, far outpacing the other products and materials on the survey. Trusses were in second place, with 24% of builders reporting shortages, followed by lightweight steel and OSB at 30% each. 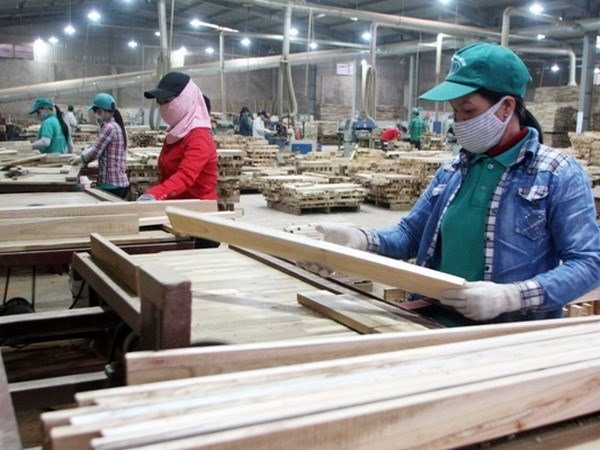 HÀ NỘI — Việt Nam earned US$4.15 billion from exports of wood and wooden products in the first six months of this year, marking an increase of 8.4 per cent compared with the same period last year. A report from the Việt Nam Forestry Administration under the Ministry of Agriculture and Rural Development said that the United States, China, Japan and South Korea remained the four largest importers of wood and wooden products from Việt Nam, accounting for 78 per cent of the country’s total export value. …According to the Vietnam Timber and Forest Product Association (Vifores), the drop in imports from Cambodia and Malaysia was due to the fact that Chinese businesses had increased purchases from neighbouring countries, including Cambodia and Malaysia. At the same time, Cambodia, Laos and Myanmar had tightened exports of timber due to a ban on shipments of logs and sawn timber from plantation forests. The Global Paper And Pulp Market research 2018 highlights the major details and provides in-depth analysis of the market along with the future growth and prospects. The reports also offer important insights which help the industry experts, product managers, CEOs, and business executives to draft their policies on various parameters including expansion, acquisition, and new product launch as well as analyzing and understanding the market trends and demands with the help of 15 Chapters, complete report with 128 Pages, figures, graphs and table of contents to analyze the situations of global Paper And Pulp market and Assessment to 2023. Paper And Pulp market globally is witnessing good traction which is evident by the global Paper And Pulp report. South and North Korea are holding working-level talks at the southern side of the truce village of Panmunjeom to discuss cooperation in the forestry sector. 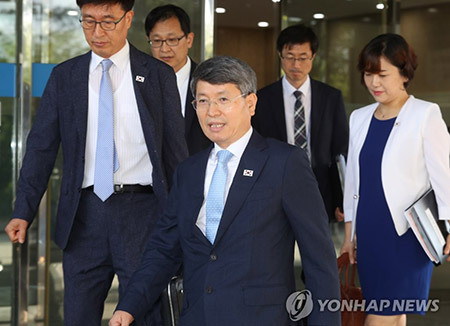 South Korea sent a three-member delegation for the talks at the Peace House on Wednesday led by Ryu Kwang-soo, vice minister of the Korea Forest Service. …Ryu said the two sides would discuss overall inter-Korean cooperation in the forestry sector and consult with the North on detailed implementation methods. In particular, the two sides are expected to discuss how to help the North deal with deforestation issues and the potential transfer of tree planting and growing technologies to the North. 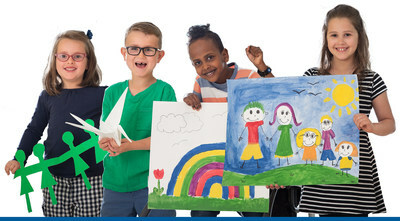 By Hydro Ottawa Holding Inc.
OTTAWA – Understanding that children’s drawings and other works of art are cherished keepsakes for many parents, Hydro Ottawa hopes to encourage its customers to sign up for paperless billing and save paper for what matters: kids and their imaginations. For every customer who registers for paperless billing between now and October 31, Hydro Ottawa will donate $5 to the Children’s Hospital of Eastern Ontario (CHEO) Foundation. …”Going paperless is good for our customers, good for the environment and good for the kids at CHEO. Hydro Ottawa is proud to partner with CHEO once again to encourage our customers to go paperless,” said Bryce Conrad, Hydro Ottawa President and Chief Executive Officer. Biodegradable plastic that can be tossed out with food scraps could be on the shelves within five years after scientists found an ingenious way to turn ‘tree glue’ into packaging. Researchers at the University of Warwick have found that a natural glue called lignin, which holds cellulose fibres together, stiffening plant stems, can be turned into a strong, moldable plastic. Lignin is a byproduct of the paper making process. While it is useful in plants, it causes paper made of wood pulp to weaken and discolour quickly, and so it is removed. In its raw form it is useless, but Professor Tim Bugg at Warwick University has developed a way to use genetically modified bacteria to turn the glue into useful chemicals. A total of 60,000 wooden electricity poles are needed in the UK every year. A new sustainable telegraph and electricity pole manufacturing technique could reduce wood usage by up to 85%. Distribution Network Operator Northern Powergrid is calling on companies across the energy and construction sectors to support the development of start-up Pollywood’s new tubing. The hollow poles are made by sustainably combining wood fibre and bio-based resins to make a long lasting, lightweight and cost-effective product. The firm says its new technology could help deliver significant environmental benefits in new markets across the globe – whereas the wood from a single tree would usually create just one pole, now it can now be used to make up to seven. New bioplastics are being made in laboratories from straw, wood chips and food waste, with researchers aiming to replace oil as the source of the world’s plastic. The new approaches include genetically modifying bacteria to eat wood and produce useful chemicals. But the bioplastics are currently significantly more expensive to make than fossil fuel-based plastics. Land and seas around the world, from high mountains to deep oceans, have become polluted with plastic, prompting major public concern. The world has produced 8bn tonnes of plastic since the 1950s and demand is still rising. …In contrast to plastic made from oil, plastics made from plant-based materials only release the carbon the plants absorbed from the air as they grew. Bioplastics will also give more options for products that biodegrade in the environment, although they can be made very long-lasting if required. Chemainus artist Connie Manning considers it a great honour to be painting the Lumber Barons mural on the side of the Canadian Imperial Bank of Commerce building in downtown Chemainus. It’s an honour that bears repeating for Manning of capturing the essence of legendary personalities John Humbird and H.R. MacMillan in larger than life portraits. “These two guys are so critical for Chemainus’ forestry life,” Manning pointed out. Humbird was responsible for the construction of the fourth Chemainus sawmill in 1924 and also managed it while MacMillan purchased the sawmill in 1944, changing the name to the Victoria Lumber and Manufacturing Co. Ltd. in Chemainus. As scientists, we have travelled the world’s rainforests on several continents. Few temperate places rival B.C.’s rich rainforest tapestry and its life-giving benefits. Canadians are fortunate that B.C.’s globally rare old-growth rainforests are working behind the scenes all the time — helping to stabilize the climate, upholding irreplaceable cultural values of Indigenous peoples, and supporting tourism and recreation jobs. All of that is at risk, however, if logging continues at its current liquidation rate. …Unfortunately, British Columbia lacks a provincewide policy for protecting old-growth rainforests. …B.C.’s coastal rainforests represent a quarter of the world’s temperate rainforests. Yet these forests are now so globally rare that they only make up 2.5 per cent of the world’s forests. Alberni Valley hiking enthusiast, Laurie Morphet, was on a hike up Mount Arrowsmith in June when she encountered a Vancouver Island Marmot. …They weren’t always rare. …The first people on Vancouver Island knew of them and hunted them. …But it wasn’t them that brought their population into a long gradual decline. It was a changing climate. This decline was accelerated when logging started to move higher into the mountains. …In doing that they found recent clearcut habitat that resembled their colonies and started to live in them. They died because the damp rather than dry winter conditions at lower elevations weren’t right for them. Added to that, predators were found to be changing their habits as well due to forestry activities. West Kelowna has added a new tool in its effort to prevent forest fires. Members of West Kelowna city council recently got their first look at the city’s new fire danger monitoring station, located in the hills above Rose Valley. According to the Westside Fire Rescue, the station provides accurate weather information and was strategically-placed on a south-facing slope to give fire fighters the most accurate, West Kelowna-specific weather information. The station was installed and commissioned during the 2017 fire season and provides hourly reports on temperature, relative humidity, precipitation and wind speed and direction. Fire danger class ratings are established through these readings. Three forestry-sector summer students in Quesnel are promoting their industry and our city after winning the Forest Products Association of Canada 2018 Green Dream Internship contest. West Fraser Mills summer students Ryan DaSilva, Alexander Davis and Kayla Brock have each begun blogging about their experiences at work and play in our area, as part of the program. …Quesnel’s summer students were three of 10 winners around the country, who will receive a scholarship towards their ongoing schooling as well as an iPad Mini or GoPro camera to help them blog about their experiences in Canada’s forest products industry throughout the summer. The program aims to promote a wide variety of forest sector career opportunities. …The Green Dream blogs are posted bi-weekly and can be found at GreenestWorkforce.ca. A new study shows an uptick in homes built in Lewis and Clark, Jefferson and Broadwater counties in areas of high to moderate risk of wildfire in the last quarter century. Local fire and fuel mitigation experts agreed with the trends detailed in Bozeman-based Headwaters Economics report “Wildfire Hazard & Home Development,” but cautioned that numbers may be on the conservative side. The report released last month uses wildfire hazard data from a report contracted by the U.S. Forest Service in 2017. …Homes continue and will continue to be built in the WUI, and Tri-County has advocated for three decades using ignition resistant materials and fuel mitigation near structures. The Papua New Guinea Forest Authority (PNGFA) ensures there is credibility in its timbers and the country’s forest resources are properly managed and traded, says PNG Forest managing director Tunou Sabuin. It is why PNGFA is developing and implementing both the Timber Legality Standards and the Timber Legality Verification Standards, said Mr Sabuin. He said the TLS has been refined, tested and scaled up through the collaborative efforts of all stakeholders involved particularly The Nature Conservancy and the Food and Agricultural Organisation. “The current PNGFA monitoring systems such as the Decision Support System which is being populated with relevant data will be consolidated into this new system and reinforced,” Mr Sabuin said. Firefighters continue to battle a growing wildfire at Tugwell Creek outside Sooke, which by Wednesday evening had grown to 85 hectares in size. As of 5 p.m., the wildfire, burning on privately managed forest land about 18 kilometres northwest of Sooke, was considered out of control with zero containment, said Coastal Fire Centre spokeswoman Dorthe Jakobsen. The fire had grown considerably since Tuesday, when its size was estimated at four hectares. “There’s been significant growth [Wednesday] due to sustained winds,” Jakobsen said. “They didn’t drop off as we had hoped.” The wind tossed hot embers into new areas, meaning the fire is not only in slash but also in felled and bucked timber as well as juvenile and mature standing trees, she said. Recent thunderstorms and hot weather have led to a rash of forest fires in the northeast, according to the Ministry of Natural Resources and Forestry. Over the long weekend there were nearly a dozen new fires in the Sudbury and North Bay areas. As of Wednesday afternoon, there were 38 active fires across the region. Fire information officer Isabelle Chenard said 17 of the fires are not yet under control, while nine are under control and nine are being held. Three fires further north are also being observed to allow the natural benefits of fire on the land. Real time updates can be found on the MNRF’s website, through an interactive fire map. The MNRF has attributed most of the new fires to lightning strikes, following severe weather and thunderstorms over the weekend. With more thunderstorms expected later in the week, Chenard said the MNRF is continuing to monitor forests closely. DENVER — Large wildfires grew across the American West on Wednesday, keeping thousands of people out of their homes for the July 4 holiday and forcing some strict bans on fireworks to prevent new fires from igniting in the hot, dry region. The National Interagency Fire Center on Wednesday reported more than 60 large, active blazes across the country, most in the drought-stricken West where holiday festivities could lead to increased fire danger. The third-largest fire in recorded Colorado history kept expanding, chewing through 147 square miles near Fort Garland, about 205 miles southwest of Denver. The Spring Fire has destroyed more than 100 homes, and over 2,000 have been evacuated. Officials said preventing the flames from spreading toward the small mountain town of Cuchara is a priority. 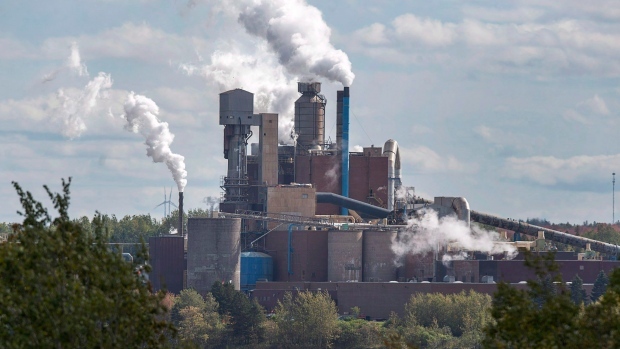 OTTAWA — The federal government is interpreting Ontario’s cancellation of its cap-and-trade program as equivalent to withdrawing from Ottawa’s national climate change framework — and is reconsidering more than $400 million in funding as a result. A spokeswoman for Environment Minister Catherine McKenna says the $420 million earmarked for Ontario under the Low Carbon Economy Leadership Fund is under review, since funding is contingent on agreeing to the framework, which includes imposing a carbon price. …As a result, Canada has hit the brakes on Ontario’s portion of the $1.4-billion climate change fund. …Ottawa had already approved funding for seven Ontario programs under the fund, but and all of that money is now on hold. One particular program cancelled by Ford, the Green Ontario Fund, means the province has, forfeited $100 million in federal money. The U.S. Energy Information Administration has filed a notice in the Federal Register requesting a three-year extension of data collection related to its monthly Densified Biomass Fuel Report, along with certain changes to the collection form. 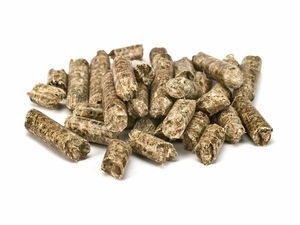 The form, EIA-63C, collects data on wood pellet fuel and other densified biomass fuel production, sales and inventory levels from U.S. manufacturing facilities of densified fuel products. The data collection aims to estimate densified biomass fuel consumption in the U.S., along with production, sales and inventory at the state, regional and national level. Len MacCharles wants you to develop a family evacuation plan and put together a 72-hour survival kit. He wants you to do it now. “A wildfire impacting Nelson: it is not if, it’s when,” Nelson’s fire chief told last week’s Wildfire and Climate Change Conference. “It is highly likely. The impacts to health, property, the environment, people, is going to be pretty serious.” It’s hard to predict what that fire will look like, he said. …Several years ago, forest fire expert Bruce Blackwell told Nelson city council that Nelson was on his “top ten list of communities in B.C. for the next big fire.” “That was not just an off-the-cuff remark.” …MacCharles said Nelson is developing a wildfire management plan, two main components of which are fuel treatment and the Fire Smart program. 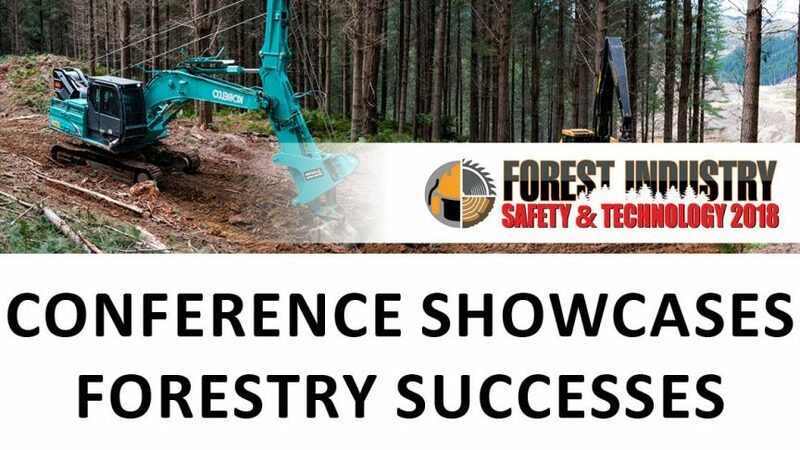 A national forest safety conference in August will bring the latest practical solutions to the table for all contractors and forest managers to hear about and learn from. Following the challenges that this industry faced in 2013, it has responded with passion and commitment to new ways to embed safety culture into everyone’s mindset on the job. Also, over the past 5 years, mechanical harvesting technologies have come a long way for keeping workers safe in logging, especially on steep slopes. “Some of our most inspiring forestry safety specialists are those with hands-on experience in both crew culture and harvesting technologies. They have been out there doing it, earning the respect of their peers,” says Forest Industry Engineering Association spokesman, Gordon Thomson.